La Fare is primarily the name of a small hill in Haute-Provence, nestled between Pierrerue Forcalquier, between a fiery Mediterranean climate and rough mountain climate. Thus, this oxymoronic alloy is the cradle of a rich nature, diverse and shimmering ! 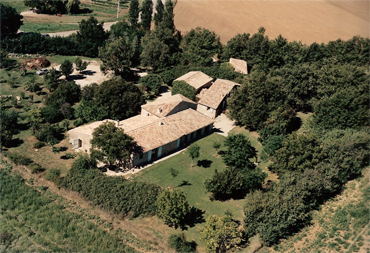 This is also the name of our Provencal farmhouse which was built there over two centuries, in 1789, the year of the French Revolution. Love in life and passionate about our work, we dream of revolution in the world of cosmetics. This is an ethical approach, natural and organic born the desire to create La Fare 1789 in 2014 by simply drawing on our garden, in our region. La Fare 1789 is precisely the image that the Haute-Provence has to offer in all its glory. Our recyclable packaging reflect this authenticity, the jare is an old inkwell and an antique bottle found in the basement. A simplicity that will be transparent and honest. Moreover, the products are developed with three times as many organic ingredients as the repository required by Ecocert, because for us it is really important, it is above all respect for the body and nature, one can not go without the other. It is in this magical place that our team develops, manufactures and affects organic Treasures of Beauty, a know-how 100% Made in France.